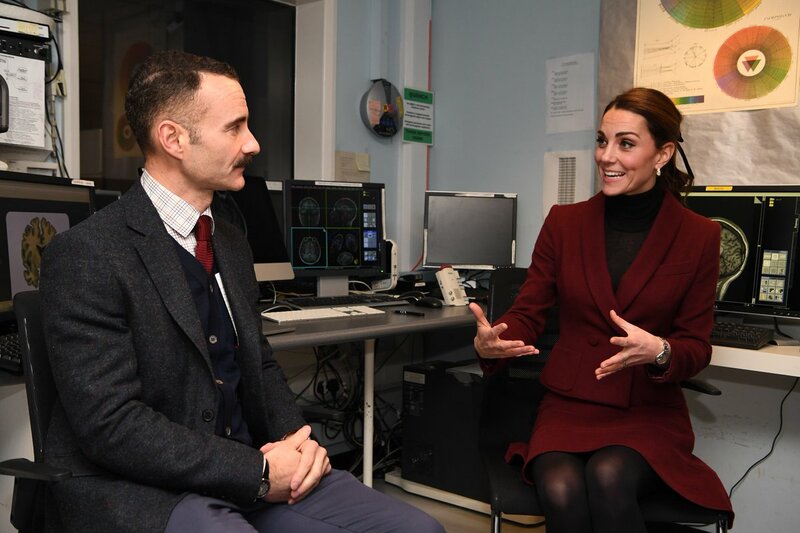 Today, Duchess of Cambridge made an embargoed visit to University College of London’s Developmental Neuroscience Lab to learn more about early year intervention. 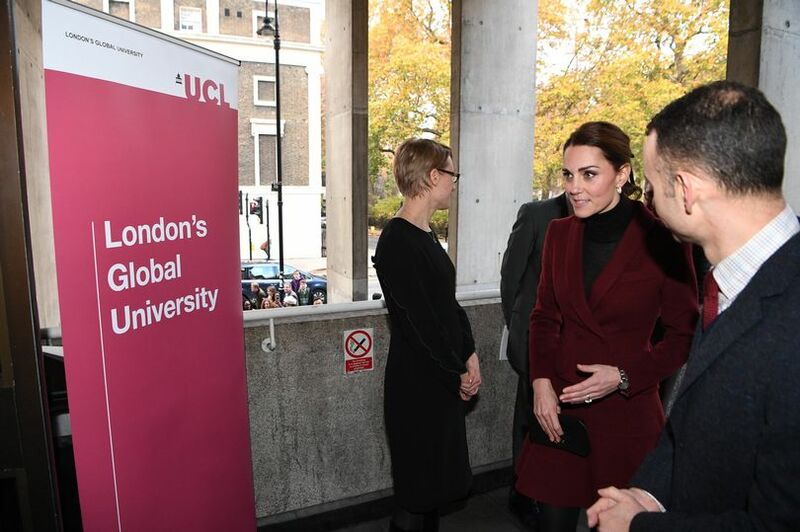 She visited a team of UCL’s world-leading developmental neuroscientists who are conducting ground-breaking research into how environment and biology interact to shape the way in which children develop both socially and emotionally. An embargoed visit means the news of the visit was not released in advance. Usually when a royal visit is scheduled to somewhere, that means lots of security concerns and the place or the section is closed off for public during the visit. But in some cases shutting off is not possible so the visit is not announced in advance. This is Duchess’ second unannounced visit in November. Last week Catherine and William visited BBC to mark the Anti-bullying week. 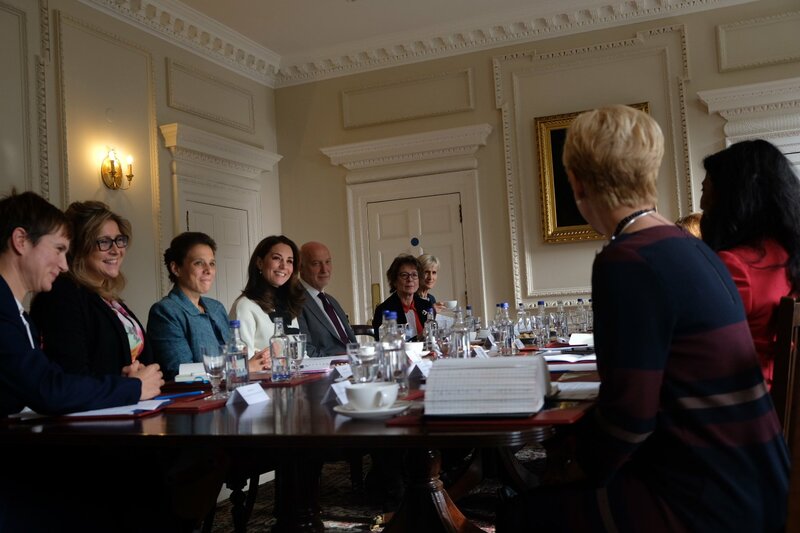 On Tuesday, the Duchess held a meeting with experts involved in the ‘early years’ initiative. We expect to hear more details about it in 2019. Since becoming the member of the royal family, Catherine’s patronage focus was on Mental Health and child care. She is championing the importance of providing solid social and emotional foundations for children to support their development and emotional resilience as infants, setting them on the best possible pathway for a happy and healthy adulthood. 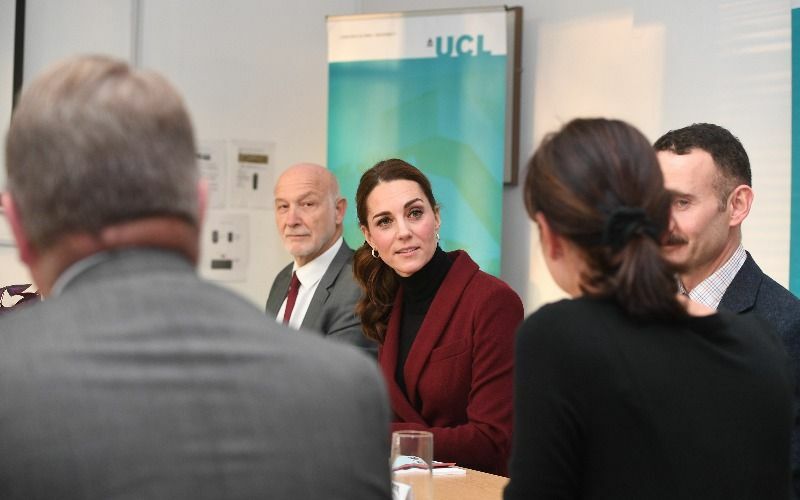 Earlier this year, The Duchess of Cambridge set up a steering group made up of practitioners and academics from a range of disciplines, including neuroscience, mental health, nursing, perinatal care and education. 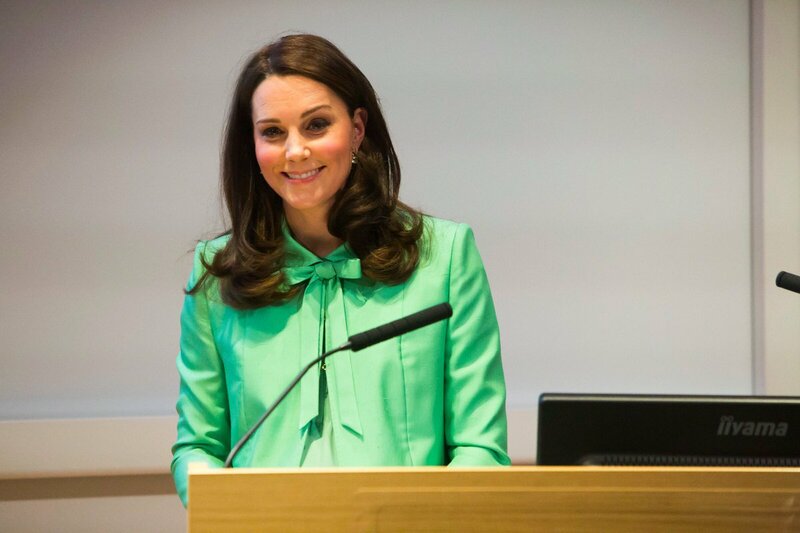 In March speaking at the symposium on early intervention, to provide social and emotional support for children in their early years at the Royal Society of Medicine in London, Catherine said, “I really feel so passionately about the importance of early intervention… providing children in their earliest years with social and emotional security builds strong foundations which last a lifetime”. 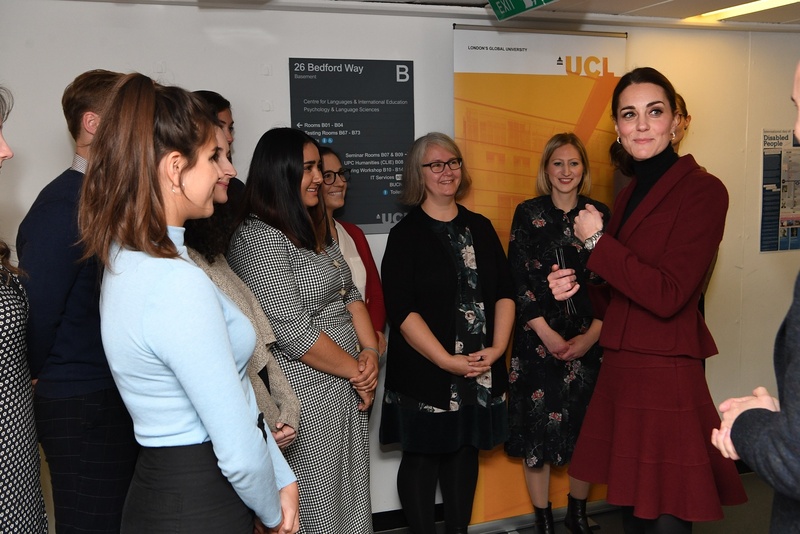 During the visit, The Duchess met with leading academics as well as students in UCL Psychology & Language Sciences to learn about developmental neuroscience at UCL. The unit aims to better understand the factors that contribute to healthy development, as well as those that are linked to the emergence of behavioural and emotional problems in children. Research into developmental risk and resilience has scope to inform professionals and policy makers in ways that can improve the lives of children and families. 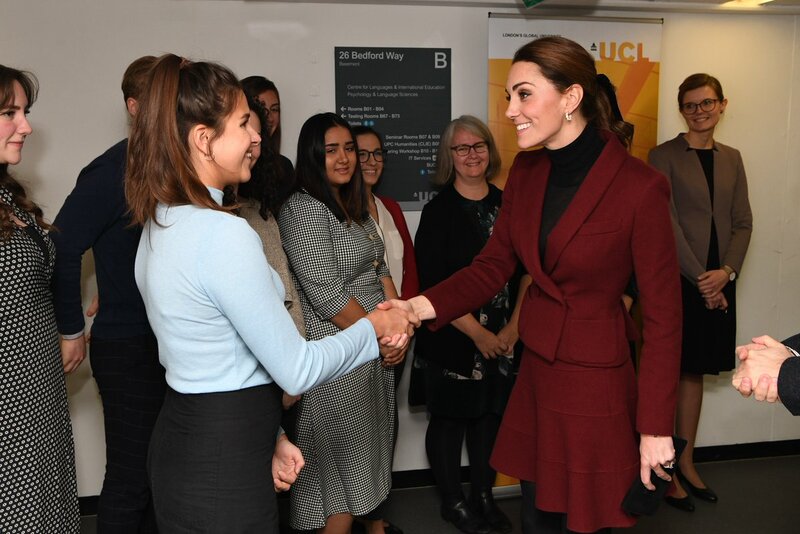 Duchess met with Professor Eamon McCrory, Co-Director of the Developmental Risk and Resilience Unit in the Psychology & Language Sciences Division at UCL. Professor Eamon McCrory (UCL Psychology & Language Sciences), the lead academic for the visit, said: “Our cutting-edge neuroscience research is shedding new light on how the brain develops in the early years. What we are learning has the potential to significantly improve the lives of children and their families. 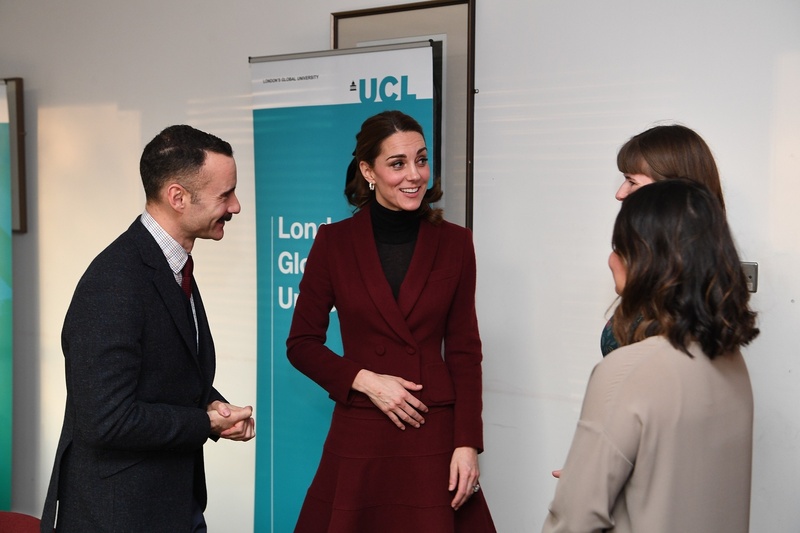 I am delighted and truly honoured that Her Royal Highness has shown such interest in our work and is supporting vital research in this area.” Learn more about UCL Psychology and Lngauge Sciences here. Professor McCrory uses brain imaging to investigate changes in brain structure and function in children following early adversity. This work is providing important clues as to how vulnerability, particularly to mental health problems, can emerge across the lifespan. As a clinician, he is very interested in how this knowledge can improve the ways in which we can help children and families in the early years. The long term goal is to move to towards a preventative model of help, where mental health problems are prevented before they emerge. 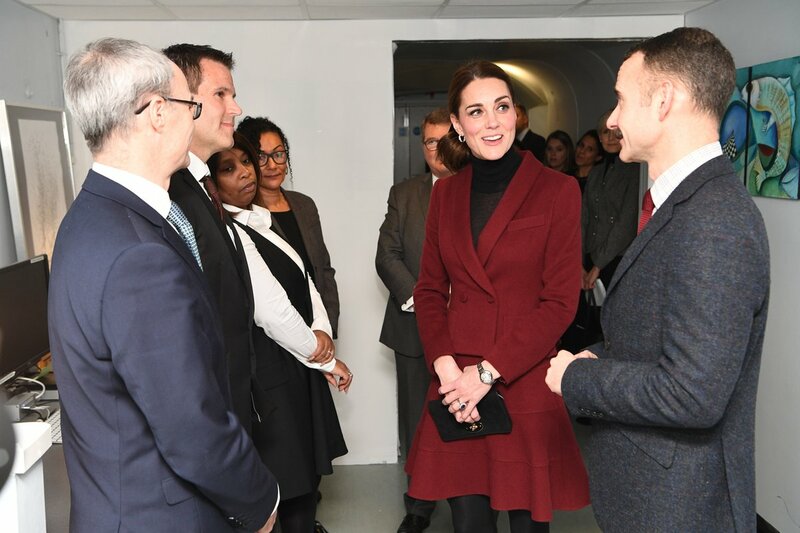 Duchess heard from Professor Eamon McCrory and from members of his neuroscience research team about how they work closely with children and families to shed new light on resilience following early adversity. 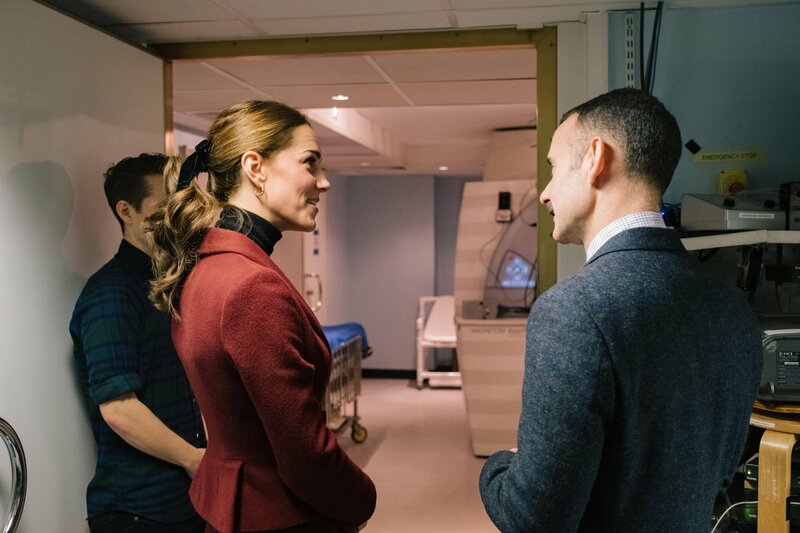 During the visit, Duchess was shown the MRI Scanning Facility, and learned how the scanner is used to study the brain, and saw the resulting images that allow scientists to see differences in brain structure and function. 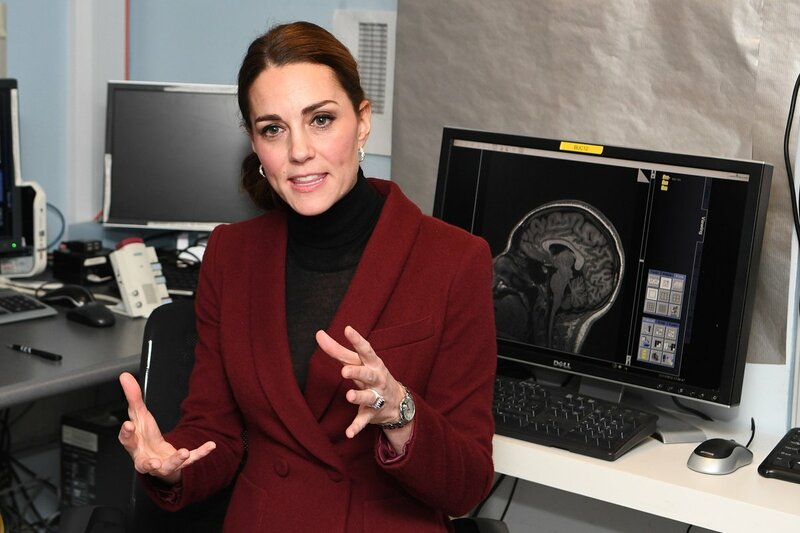 (see the brain image behind Duchess). Duchess held a small round table discussion with the team. Catherine met with UCL Developmental Risk & Resilience Unit staff, and students from Psychology and Language Science department to hear about their work on research, clinical practice and policy to support young people’s mental health. 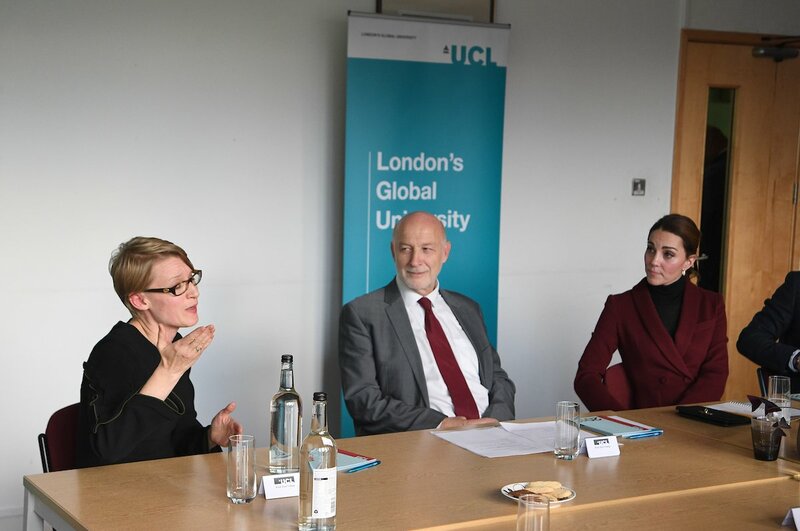 Catherine met two students enrolled on UCL’s MSc programmes in child development, based at the Anna Freud National Centre for Children and Families, one focused on clinical training and one focused on neuroscience research. Anna Freud is one of Duchess’ patronage that she is really passionate about. Learn more about it here. For over 25 years UCL has worked with the Anna Freud Centre to deliver world leading postgraduate programmes in child mental health, and more recently in developmental neuroscience. 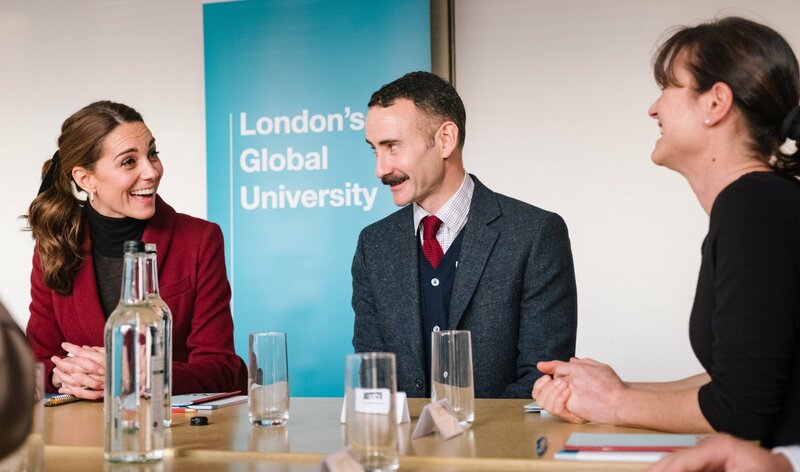 In partnership with the Centre, UCL is training researchers and clinicians in child development and mental health with over 300 students enrolled. A video of the event. 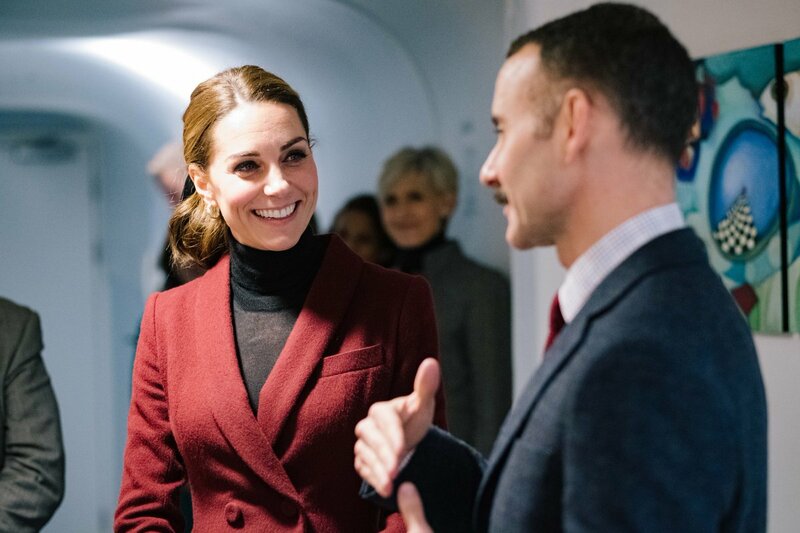 For the visit Duchess brought back her Paula Ka Skirt Suit with a black turtleneck sweater. Catherine wore Paula Ka Skirt Suit in 2012 at Middle Temple in London. She again wore the French derringers creation in 2017 for a visit to Wales. The ensemble consists of a double breasted jacket featuring a modified peplum detailing at the waistline and lapel collar with a pleated skirt. Embed from Getty ImagesShe paired the outfit with Tod’s Suede Pumps that she debuted in October 2017 when she made a surprise appearance at Paddington Station. 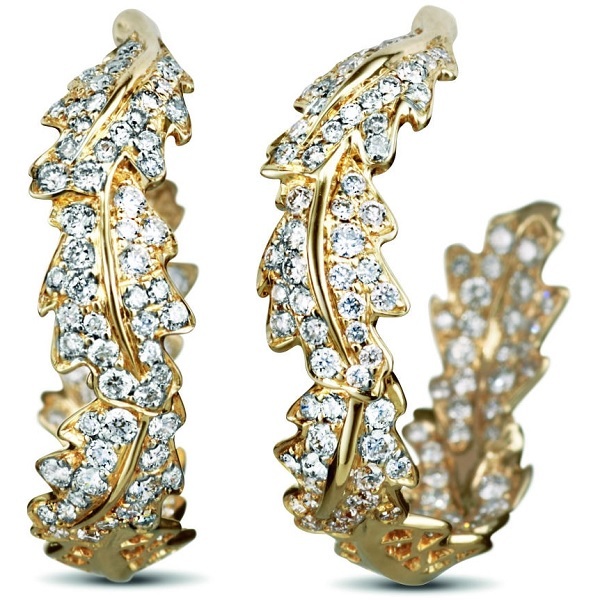 She is wearing her Asprey London Oak Leaf Small Hoop Earrings that were debuted at Wimbledon this year. The new element of her look was a beautiful velvet hair tie. I love this simple bow tie that was perfectly in line with her skit suit. 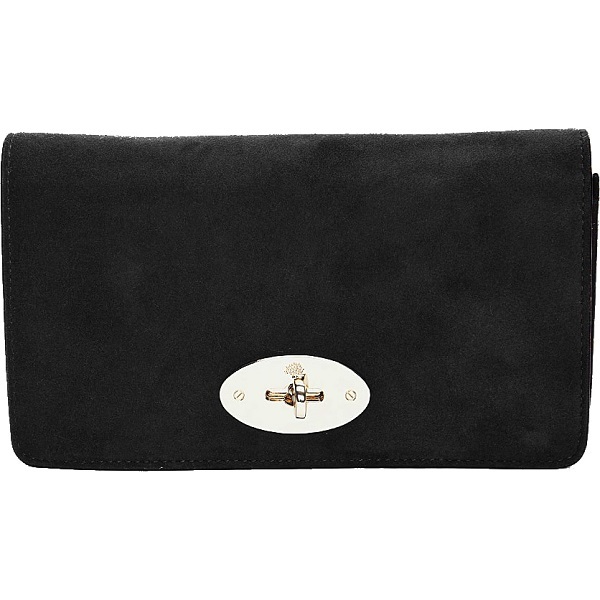 It is currently retailing at J. Crew for $22.50. Thanks to @MiddletonMaven for id.